Dysmenorrhoea, or menstrual cramps, consists of in utero from cramps immediately before or during menstruation. Dysmenorrhoea can be primary (without any organic pathology) or secondary (associated with a pathological condition, such as endometriosis or ovarian cysts). The pain usually lasts between 8 and 72 hours. Teenage girls are more likely than older women to have primary dysmenorrhoea, because the condition can improve with age. The secondary dysmenorrhoea tends to be less common in adolescents, because the appearance of causative conditions may not have happened yet. 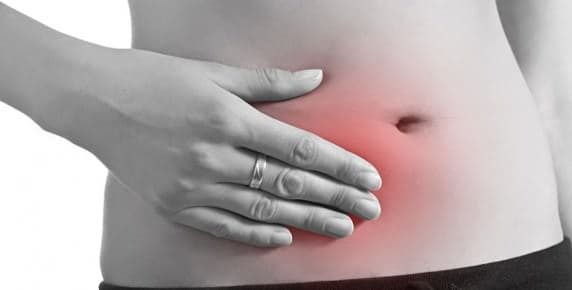 Estimates suggest that about 25-50% of adult women and about 75% of teens feel pain during menstruation and 5-20% feel a severe pain that keeps them from proceeding with their usual activities. The higher the average duration of menstruation, the more severe are dysmenorrhoea symptoms. In addition, early menarche and smoking have been associated with dysmenorrhoea. Conventional treatment aims to relieve pain, and treatment includes anti-inflammatory drugs (NSAIDs), oral contraceptive pill, depo-medroxyprogesterone acetate, levonorgestrel-releasing intrauterine device, danazol and leuprolide acetate. Recent systematic reviews of randomized clinical trials (RCTs) found that both acupuncture and acupressure are effective for primary dysmenorrhoea, providing significantly more pain relief than the pharmacological treatments. Comparisons of acupuncture with sham acupuncture brought variable results and there was no significant difference in the comparison. This is consistent with the view that the sham controls are active interventions, not placebos, providing unreliable results that may underestimate the effects of acupuncture. Two previous systematic reviews have identified the shortage of high-quality trialson acupuncture for dysmenorrhoea and so could not take definitive findings. Since then, there have been more randomized clinical trials, especially in China, the strongest findings in 2010. The most convincing evidence comes from a German high quality test also showedthat acupuncture is profitable. For other gynecological conditions the research baseis scarce. For example, a systematic review of essays on acupuncture for fibroids found no evidence that fit their criteria for inclusion. Reducing inflammation by promoting the release of indicators and immunomodulators.